This entry was posted on Samstag, Februar 26th, 2005 at 00:00	and is filed under best shots, black and white, building, gallery, travel. You can follow any responses to this entry through the RSS 2.0 feed. You can leave a response, or trackback from your own site. Excellent night shot of Paris. Great image of Las vegas? 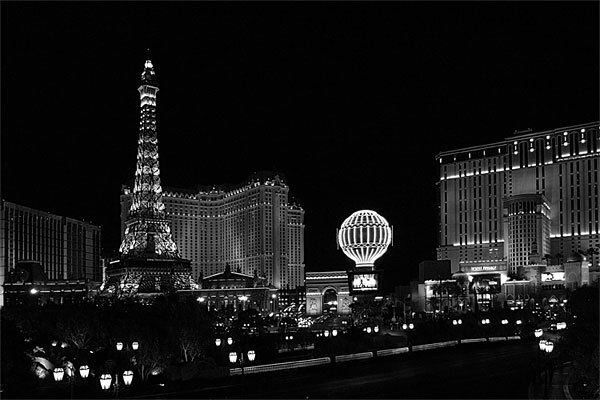 Good idea to make the city of the thousand lights in a black and white look.